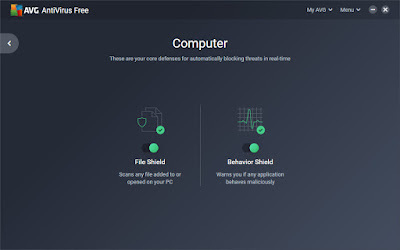 New version AVG Antivirus Free 2019 for PC & Mac has released. You can download offline installer AVG Antivirus Free on this page. Use direct links to download offline installer and protect your Mac or PC for free. The installers is useful for users that does not fast internet connections. You can install the software without internet connections. AVG Antivirus Free is popular security tool for PC & Mac. It offer free protection but with basic security features only. After a few years available for PC only, the free antivirus now also available for MacOS. The both version support for 32-bit & 64-bit platform. If you are interested to use the apps, download offline installer for AVG Antivirus Free 2019 on this page. Download the version suitable with your platform. Download the installer for Mac OS or PC for free. All AVG Antivirus Free is 100% free for personal and home users but with basic security features only. This version not allowed for professional & business uses. If you need complete security features, you purchase internet security or ultimate versions. And don’t forget to check also Bitdefender 2019 Offline Installer. The AVG Antivirus Free 2019 works on Windows XP SP3 up to Windows 10. On Mac, it works on Mac OSX 10.10 Yosemite up to MacOS 10.14 Mojave.